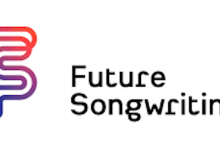 A guest blog by Jon Reeves from Musical Futures Champion School, Steyning Grammar, UK which describes how he integrates the RSL Music Practitioners qualifications in a Musical Futures school. Why MP? – inclusive, accepts learners interests as they are, gives scope for creative and student centred learning, wide variety of tasks and activities allows teacher to build a course based on interests and skills of students, rests on building student independence and celebrates this, I personally came to the qualification through Arts Awards and working with Musical Futures as an Associate. What is progression route after this qualification? – we deliver both A level and Music Practitioner courses, and have strong links with other local sixth form colleges to tie our curriculum needs into progression routes for students. If a student will be looking at a conventional A level route we will recommend them to do both GCSE and MP as this gives them a very strong grounding to either an academic route or vocational route. How much written evidence work is required? – there is an element of this in all units – most have the structure of firstly planning the unit, then the actual physical doing of it, then reviewing it. Our students who struggle with literacy enjoy being able to use video to support their work, and will sometimes do videoed plans and evaluations rather than written ones. They will tend not to get the higher grades if they do this however. How do you monitor progress? – google docs and classroom has become our must have technology platform, and allows us to dip into student work regularly to give feedback, and for students to give regular evaluation of progress and set future targets, and to keep video evidence all in one place. This helps them keep on top of the log book side of evidencing progress. 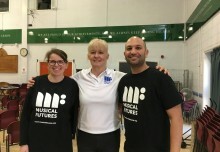 How do you know what the standards are for the different levels – it was a step into the dark initially for me, and we linked up with a local Access to Music provider to get another pair of eyes on work done by our students and to check that we were not missing anything which was really helpful. There are now facebook groups and such like, but some kind of regional network of centres would be a good development for cross moderation and marking, and for building up banks of exemplar past assessed work. Our students find access to previous student work very helpful in producing their own work, and teachers then feel confident with the standards required to help to set targets etc for students. Plans to produce exemplar work by exam board but slow on this in reality so a local network is probably best route for new centres. Most centres who use the qualification are hugely supportive towards others. Does the final performance have to be in a concert? – I think not, although we try to replicate the actual task as closely as possible so will always arrange a public concert or external gig for students to share their work. We have given audience members feedback sheets in the past to help students then evaluate their work later, and now do this with a set of chrome books and shared documents so the audience write their feedback during the concert. This was a great success, and parent’s enjoyed being involved in this although the hall looked like a cyber café. How do students make progress – what are the pass rates for your various routes? With a thoroughly differentiated offer for our students we will be looking at having 100% gaining an A-C qualification this year, and with around 85-90% or students meeting their challenging targets set by the school. Our yearly cohort is around 50 students per year, and about half of these will do both GCSE and MP and their value added scores for the school will be considerable and significant. Our outcomes for Raise groups will be very strong also. From one of our PGCE visitors earlier this term … why don’t all school’s do this? – good question, feels bonkers and stupid at times to run two qualifications in the same room and you have to feel 100% confident in both, both the outcomes for student engagement and buy-in are worth the initial headaches with planning. Since running both courses our sixth form has double in size and we now have 30 students taking KS5 courses which for a school setting is very high indeed. Can students follow more than one course of MP? – in theory yes, and as we have a 3 year key stage 4 a small number of our students have done two MP level 2 qualifications successfully. They have different discount codes in Progress 8 currently so this is worth doing in terms of student outcomes at whole school level. Do the qualifications fit within Progress 8? – yes, but you need to check this regularly as they have dipped in and out of performance measures in the past. Are they going to move into the new GCSE scaling 1-9 grades? – don’t know … ask Patrick, but would like to know the answer! When do you have students do the controlled assessment? – for high ability students this might be early in Year 10, for others who take longer to manage the qualification, this might be towards the end of Year 11. We have different groups of students within each class taking the controlled assessments at different times. Rather than this being problematic, it gives students a chance to do a trial run on this if they need to as a stepping stone. Can you resit the controlled assessment? – yes, but this is costly for the exams budget as a resit is around £60 so we only use this if all else fails. Can you use the qualification outside of the classroom? ­– we have a small number of students who do the work through involvement in extra curricular groups, like Rock Factory, and it can be done, but is an added headache in planning. However, for staff development for staff running these groups this can be positive for them. Can other staff be involved in delivering elements of the qualification? – although teachers still have ultimate responsibility and accountability for student progress, we do use our highly skilled technicians to deliver parts of the course, and also build links with our instrumental teachers to support work in some units – especially technology heavy ones, or the Developing Instrumental Skills units.